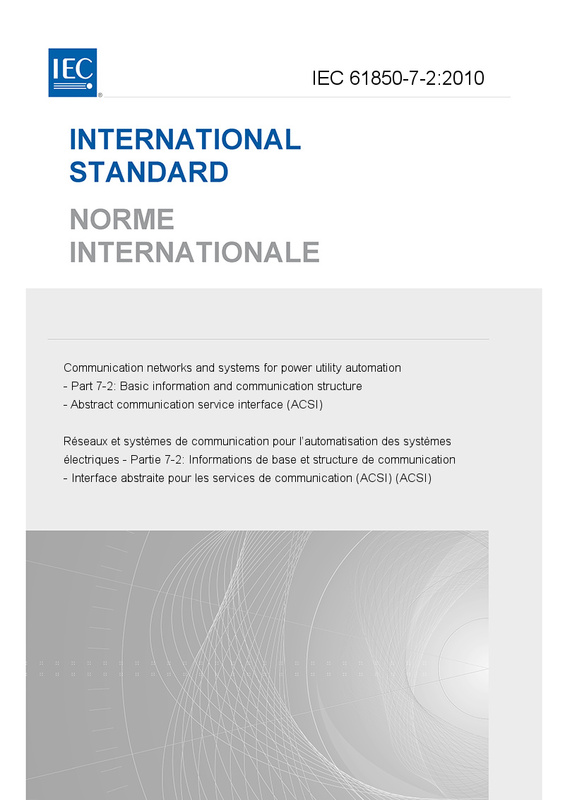 IEC 61850-7-2:2010 applies to the ACSI communication for utility automation. The ACSI provides the following abstract communication service interfaces: - abstract interface describing communications between a client and a remote server; - and abstract interface for fast and reliable system-wide event distribution between an application in one device and many remote applications in different devices (publisher/sub-scriber) and for transmission of sampled measured values (publisher/subscriber). Major technical changes with regard to the previous edition are as follows: - data types not required have been removed, - service tracking for control blocks have been added, - security issues are solved by the IEC 62351 series, - service tracking for control blocks have been added, - the view concept will be according to the new work on role bases access (RBA), - security issues are solved by the IEC 62351 series. This publication is of core relevance for Smart Grid.